I worked at the Laboratory for Multiscale Mechanics Modeling (LAMMM), under the supervision of professor William Curtin. Since the LAMMM lab’s work is very theoretical and computational and requires a lot of experience, they usually do not take summer interns. I was honored to be the first ever undergrad to work there. At first I was a bit frightened that I wouldn’t have enough knowledge and experience to accomplish something during my stay but I ended up having a great experience. Everyone at the lab is really helpful and friendly, I learned a lot from each and everyone there. During my first week, I had a post doc sitting with me for almost 8 hours a day teaching me everything about “Molecular Dynamics”. I had almost no background about the subject, so they taught me everything at the lab. I learned how to use “LAMMPS” to make molecular dynamic simulations as well as many other computational skills. After that week, I started working on my own, helping a PhD student with his undergoing research, and whenever I needed help with something, someone was there to guide me. I learned a lot from this internship in terms of skills, experience and connections. Since I had family in Geneva, I decided to stay there and commune everyday to EPFL in order to save money on rent. It took me around 1 hour to get to work by train, which is not bad at all. The trains are extremely comfy and whenever you’ll go to the train station you’ll find one going to Lausanne during the following 5 minutes. Most of the other inters were staying at Lausanne, we usually meet after work and go for picnics by the lake near the EPFL sports center. This spot is amazing, you can swim, go for runs by the lake, play some beach-volleyball or play soccer on one of the best fields I’ve ever seen in my life (Surrounded by the lake and the mountains). During the weekends, we travelled a lot. 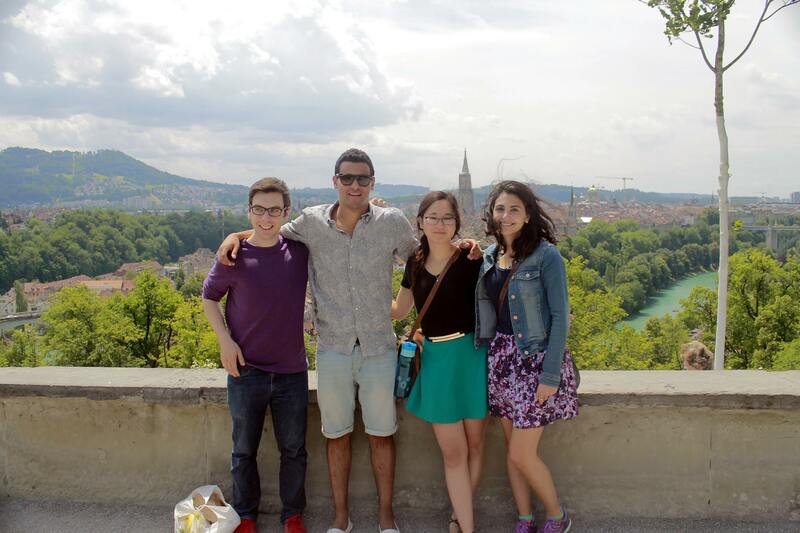 I went to Bern, Montreux and Gruyeres in Switzerland, as well as London and Amsterdam. It is a great opportunity to travel Europe during your stay since everywhere is close and affordable. The jazz festival at Montreux was amazing and I strongly recommend going there if you’re into concerts (not necessarily jazz, there is almost every kind of music). At Gruyeres, I had the best cheese fondue I’ve ever tried, and only 5 minutes from there, there is the Cailler Chocolate Factory, you can have a tour there for about 12 CH and you get to taste all their chocolate and see how they are made. Don’t think too much about money and compare prices to prices back home, Switzerland is EXPENSIVE. This entry was posted in Non classé on 16 July 2015 by gouda12.